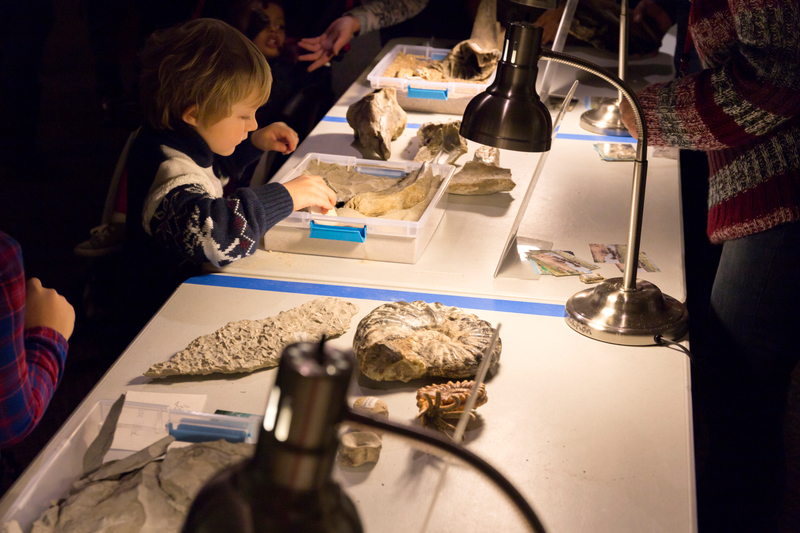 Visitors interact with real museum specimens during a previous Dinosaurs and Disasters event. The 2019 event is 9:30 a.m. to 4:30 p.m. Feb. 2 at Morrill Hall. The University of Nebraska State Museum and the University of Nebraska–Lincoln Department of Earth and Atmospheric Sciences will host the 15th annual Dinosaurs and Disasters family fun day from 9:30 a.m. to 4:30 p.m. Feb. 2 at Morrill Hall, south of 14th and Vine streets. Scientists and students at Nebraska will provide hands-on activities and demonstrations to help visitors explore science and society. Visitors can learn about the science of tornado forecasting and what to do in the event of an earthquake. They also can learn about nature’s food webs and how policies impact those webs, and map the oceans to understand oceanic environments. Mueller Planetarium will present the fulldome show “Weather: Wonders and Mysteries Revealed.” Viewers can experience weather phenomena, from extreme events such as tornadoes and hurricanes to beautiful optical effects such as rainbows and the aurora borealis. Show times are 10 and 11 a.m., noon, and 1, 2 and 3 p.m. The show is 30 minutes. Due to overhead motion and occasional loud sounds, children under 4 will not be admitted. Learn more about the NU State Museum.